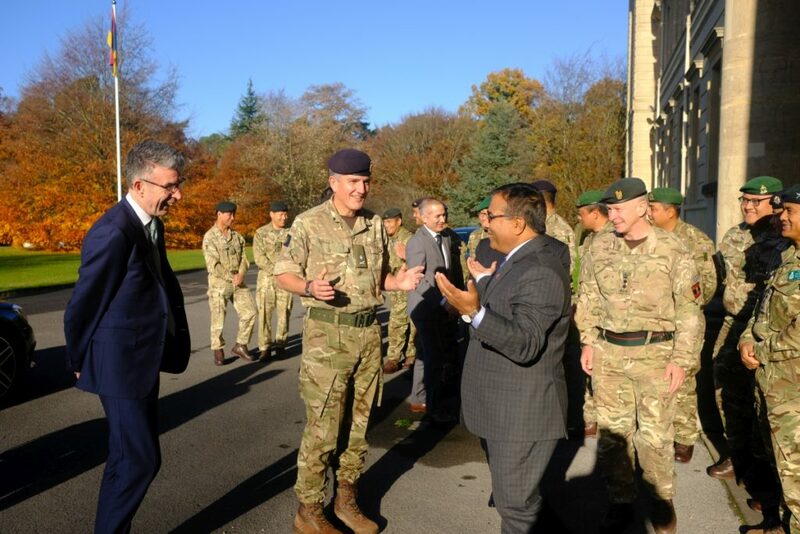 Mr Shankar Das Bairagi, Foreign Secretary of Nepal, paid a visit to the Headquarters Brigade of Gurkhas at the Royal Military Academy Sandhurst to discuss various matters pertaining to the British Army relationship with the Government of Nepal and Gurkha veteran concerns. 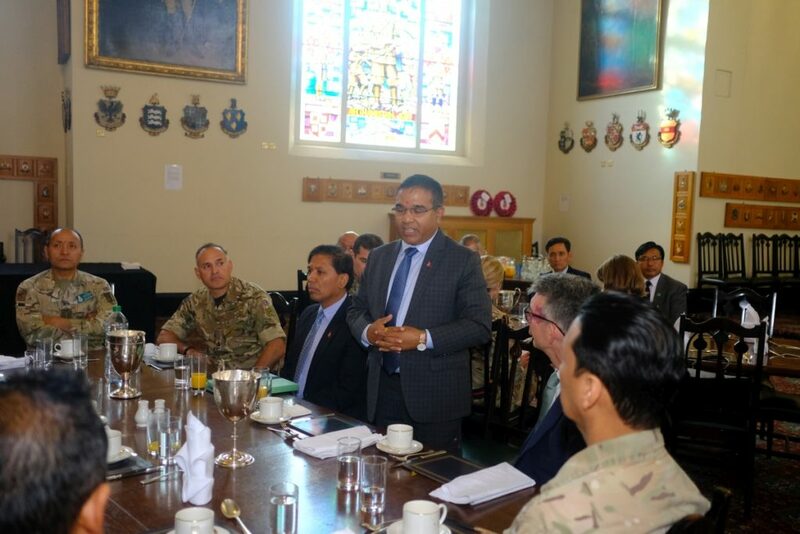 Also in attendance was the Nepal Ambassador to the UK (Dr Durga Bahadur Subedi), the Deputy Chief of the General Staff (Lieutenant General N A W Pope CBE), Colonel Brigade of Gurkhas (Colonel J Robinson), Army Secretariat (Mr Damien Paterson), British Ambassador to Nepal (HE Mr Richard Morris) and a number of members of staff from Nepal, the FCO office and the British Army. 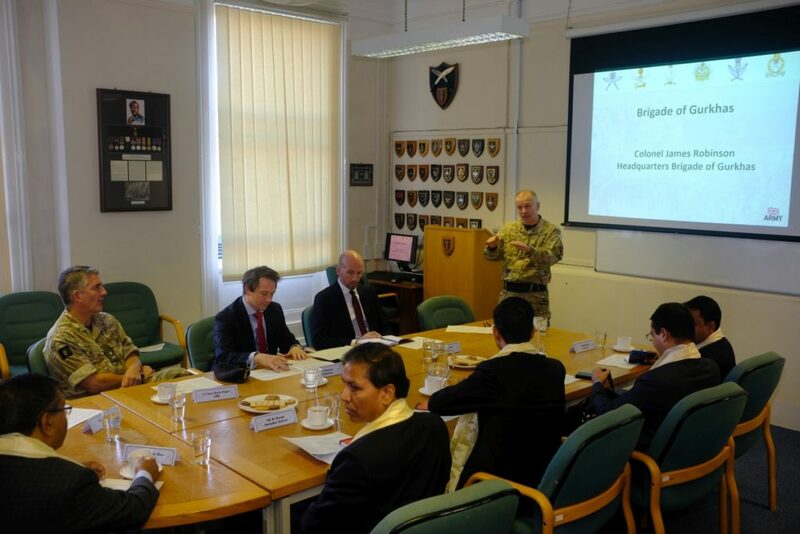 During the visit they conducted a round table discussion on a number of serving Gurkha issues, veteran issues and recruitment. 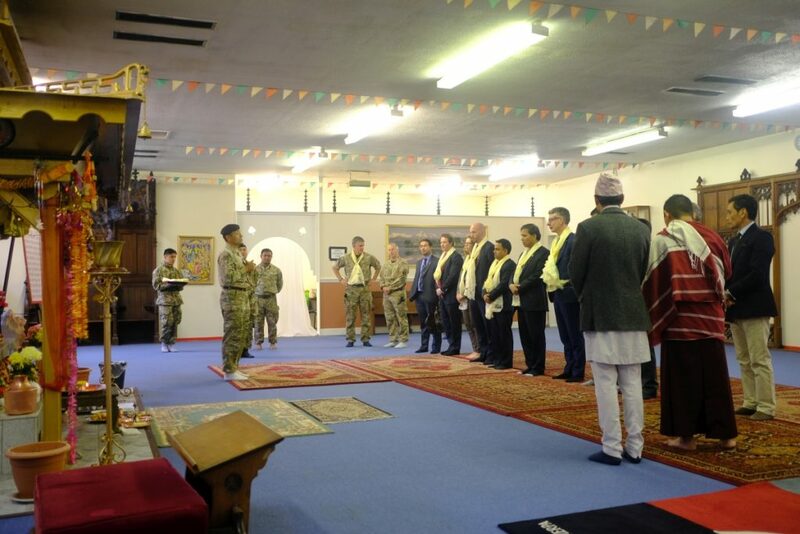 The party then moved on to visit the Temple located at Gurkha Company (Sittang), who are located at the Royal Military Academy Sandhurst, to support the training of the Officer Cadets. Following this the party moved on to Old College and the India Memorial Room for lunch. Following speeches and an exchange of gifts the Nepal and FCO guests departed.